It’s like a nightmare when the site goes down. Your sales lost during that downtime. It’s not only financial loss but also a bad impact on the site ranking. That’s why uptime is much greater than the load time. Because when the site takes more time to load it is still online and a customer can get into it. Moreover, a part of the load time is in your hands. You can decrease it by proper optimization. Also, you can install variety of plugins to optimize your WordPress website. But downtime is the total loss in sales. Here below we mention some possible effects that your site may experience due to downtime. Just imagine how customers can buy the product if the shop shutters are down. Similarly, if a website goes offline then the customer divert to another site, and so you lost the sales as well as clients. A website which mostly remains under the storm of downtime is not only rank lower in the search engine but also print an appalling image in front of visitors. And next time whenever visitor sees your site in the search engine they simply skip your site and open the next one. A user expects from a website to load quickly. The online users are very impatience, so a downtime and delay in load time severely hit your site. Here look at the survey by Akamai which shows that 30% of the participants wants a website to response within a second. And 18% people wants that a site should load promptly. So you must fulfill the user’s expectations. Is the Downtime Can be Avoided ? The first step is how to detect the downtime? Of course, it’s not possible to monitor the website 24x7x365 even not for the large corporations. The best effort you can do is to use a tool. Next how to avoid the downtime? Unfortunately, there is no way to eliminate the downtime totally. There is always the risk of downtime. But here are some steps that someone can take. First of all select a well reputed and reliable web hosting company. For this, we suggest A2Hosting. There are rare cases of their services downtime. The company is able to deliver the 99.9% uptime but yes as we mention earlier keep in mind the contingency of downtime. Secondly, keep an eye on the servers. For this, you can use a tool like a Pingdom. This tool helps you to monitor the site and send you alerts even on the phone via text messages. Moreover, they offer free service to measure the page load time. When considering the Pingdom alternatives, then how we forget to mention the ServiceUptime. Working since 2005, the service monitors the uptime as well as the performance of websites, servers, and ports (DNS, Downloads, and MySQL servers, etc.). Service uptime can trigger a script using Webhook whenever something bad happened like downtime. You can then send that data to the hosting company as a proof or share with your site visitors. Currently, they are offering 3-plans (Standard, Advanced, and Professional). They are offering upto 10 different monitoring locations. In the standard plan, you can add upto 10 monitors. There are 8 check intervals available, but on the standard plan, you can select minimum 3 min check which allows you analyze the site after every 3 minutes. Honestly, for the bigger sites this is a long duration, so we suggest you select the Advanced plan which still cost lower than the Pingdom Starter plan and supports with 2 min check frequency. While on this plan, you can add maximum 20 monitors. Another convenient feature that all plans include is the check verification. You can select the number of failures after which the ServiceUptime should alert you like after first, second or the third failure. Upto five options are given. They send warnings using both email and SMS. Moreover, if a site has more than one administrators and everyone wants to get the alert, then you can easily add multiple accounts and phone numbers. They never delete the past statistics so the user can view all the ups and downs. We see that the standard plan includes some limitations like only 5 SMS alerts. For Next 10 SMS, you have to pay $2. Service uptime offers trial and free account. A 30 days trial account requires no credit card and can perform 10k checks. While in a free account there are many limitations like they do perform the check after 60 minutes. That’s hilarious. So you may pick a premium plan as per your requirements. It is not wrong to say that Site24x7 is a close alternative to Pingdom. You will get all the essential features in just $9 where Pingdom offer similar features in more than $11. It is available in 10 languages including English, Chinese, French, and Italian, etc. You can download the Site24x7 app on Andriod, iPhone, etc. so that you will receive instant notifications. They also offer a desktop app for getting downtime alerts so no need to visit the mailbox on a daily basis. Based on your target audience you can select 8 location out of 60. You can monitor both Linux and Windows based servers. It can monitor tons of check types including SSL, DNS, Databases, Ping, FTP, and Amazon web service, etc. On the “Standard” plan you can add upto 10 monitors (websites) while Business plan allows upto 40 websites. We think that the tool will be handier if it includes malware scanning. Transaction processes like signup, payment, and check out, etc. are the important part of the websites, especially for an ecommerce site. So it is very necessary to monitor that if the processes are working fine or not. At Site24x7 you can add one Synthetic Web Transaction like in the Pingdom to monitor such processes. Every month 50 SMS/voice credit grant to the user to get alters on the phone. They do offer support services via email and forum. But on all other higher plans they assist the customers via chat and phone calls. The report sends to your account as per the selected period (daily, weekly, and monthly). To prevent the false alerts, all plans include rechecking feature which get the confirmation from 3 different locations. The company offers 30 days trial without attaching the credit card. Along with you will also get 30 days refund policy on monthly subscription whereas 45 days on the annual subscription. We found Site24x7 well-designed tool with tons of features which makes it superior as compared to Pingdom. And it will, of course, worth the money. StatusCake is an impressive tool to monitor your site and best Pingdom alternative. They claim to have more than 75000 users including EA and NETFLIX etc. Here we elaborate it as a good alternative to Pingdom and worth trying. The interface is very friendly, and you don’t need to learn anything. They also maintain a chat line and knowledge base in case you have any question. StatusCake charges more than the Pingdom, but their plan is free of limitations. A check will run after every 1 minute from the 8 different locations. Whenever it detect the downtime, then it gets the confirmation from multiple locations and alerts you. Moreover, they also check the Avg. Load time. There is no limitation on the number of tests. They run unlimited SSL, Domain, and server (Linux bases web hosting) monitoring tests. While Pingdom performs only 10 checks and do not offer any chat and only have 6 test locations. Not just monitoring, they also run a scan for the virus after 1-hour interval on the superior plan (basic) while time span is lower at higher plans. The plan also includes 25 SMS alerts. StatusCake also send alerts when your domain comes near to expiry date. You can integrate the Pushover, Pushbullet, HipChat and Slack and many other apps for receiving the notifications. Moreover, all the premium plans include content matching feature. So far they did not mention any historic data policy, but you can view maximum 3 months old analysis. The company does not offer any refund policy, but you can give a try to StatusCake as they also offer a free plan so that you can check the services quality before making a purchase. But this includes various limitations such as test perform after 5 minutes and check the site from the random locations. Overall, this tool is fine. The price may look high at first but the plans surely worth your money. 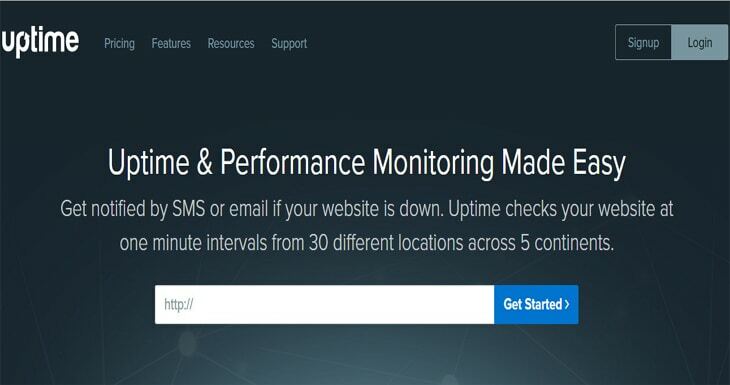 Whether you want to monitor a website or a server, UptimeDoctor can do this for you instantaneously. By adding a test, you can examine the Uptime as well as performance. Like Pingdom, in this tool you can add 10 monitors (tests), but there is a significant difference between prices. UptimeDoctor's basic plan only cost $7.95. And if we say that their plans are kind of unlimited then it won't be wrong. They are offering various monitoring frequencies such as 1, 2, 3, 5, 10, 15, 30 and 60 min. Receiving warnings via smartphones is a very expedient way. The uptime doctor offers unlimited push notifications on both Android and IOS using services like Pushover, Push bullet and Prowl, etc. To avoid the losses, you need to measure the performance trends by utilizing the data at retention. It offers lifetime retention period. Currently, they are offering 29 locations. These helps to eliminate the false warnings. And whenever it detects the error then it will confirm that error from at least 2 different locations. Moreover, you can also add the locations from the list. The tool is pretty simple to use, but still, they offer the technical support and 14 days money back guarantee. UptimeDoctor also provides a free plan which permits you to add 5 websites or servers. The package support 2 SMS, 50 Push, unlimited email alerts and also include unlimited contacts. It performs the analysis as low as 1-minute interval and keeps data at retention for one year. Furthermore, you will get 14 days refund on a premium plan, and after 14 days they issue the pro-rated refund. Analyze almost all the major protocols like HTTP, HTTPS, Ports, and Ping, etc., Numerous locations, Lifetime data retention, Push alerts, fast email response. No custom ports, No Free SMS alerts but you have the option to purchase; otherwise, there are unlimited push and email alerts included for free. Pingometer is a great way to monitor the site without any pause. They offer 4 different plans to meet the individual to enterprise level needs. The very basic plan named as SMALL and allow you to add 5 monitors. You can keep an eye on the up & down monitors, average uptime and average speed from just a single dashboard. It examines the check types such as HTTP, HTTPS, RUM, POP3, Transactions and many other protocols. Here keep in mind that the Small plan did not include SSL and data verifications. The number of testing locations depends on the plan you select e.g. on Small plan they offer 3 locations while the X-large (biggest plan) offer upto 10 locations. One thing that really impressed us is the Pingometer dashboard. On this, you can easily navigate to monitor, alerts and account. You can easily integrate your Email, Twitter, Phone number and Web hook for alerts. Although the tool is simple and works great but still if you need help, then you can do so via email and phone line. The limitation with the Small plan is that it allow only one contact this is acceptable for the individual site having one administrator. So if you want to send alerts to more than one contacts, go for the Medium plan. Pingometer offers a free account which allows you to check one website from one US location with a frequency of 1-minute interval and also monitor load speed. Moreover, different reports like uptime and response time are also available in the free account to measure the performance trends. On the whole, Pingometer is a great tool with a solid panel. Also, they offer 30 days money back guarantee which is great in case if you are not satisfied after purchasing. 24/7 monitoring, Friendly Dashboard, 30 days full refund policy, Support key protocols, Low pricing, Alert integration with Twitter and phone number, etc. Nodeping offers flexible and a cost effective service to monitor the site uptime and downtime. Not only websites but also many other services such as POP3, IMAP4, DNS, Ping, SSL monitoring and much more. Nodeping does the monitoring from various regions (33) covering North America, Europe, East Asia, and Latin America. You can also select the random location by selecting the worldwide option. The starter plan best suit to the individual websites which allow upto 5 monitors and unlimited users. Moreover, additional monitors can be added in just $0.50/monitor. Alerts can be sent to the users via Email, SMS, Twitter, and Pushover. They offer a broad range of check frequencies from 1 min to 1 day. Nodeping put the verification sensitivity in the user's hands. In this, you can select the number of rechecks after which they confirm the downtime and report it. If you enable no recheck, then there are chances of false alerts, so we suggest you to select at least 2 rechecks to avoid unnecessary notifications. Results can be examined in numbers and chart form. The company also offer manual test under the Diagnostic Tools tab which allows you to test page load time, ping, dig and traceroute, etc. So pick a plan as per your requirements start monitoring before you hit by any significant loss. 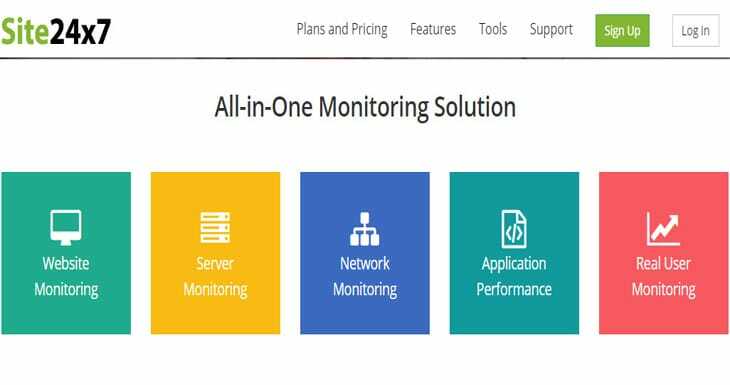 It’s not too old service, launched in 2010 but soon known as one of the best services to monitor uptime and now trusted by more than 360,000 users. If we talk about the type of services the tool is limited because it only monitors uptime while Pingdom offers uptime, real user monitoring, and transaction monitoring, etc. The reason of listing uptime robot is its low pricing, accuracy, and easiness to use. 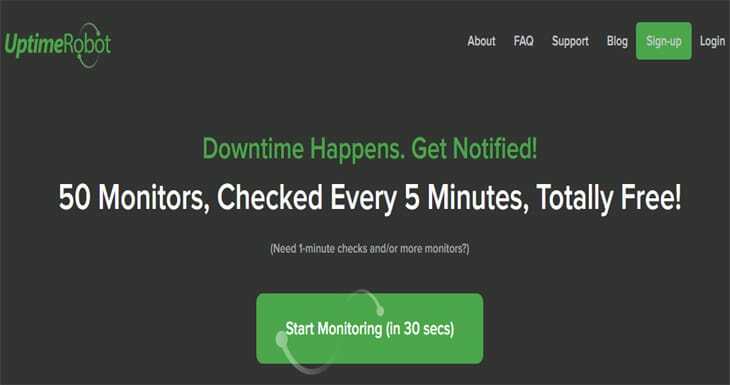 Moreover, if you solely want to monitor uptime, then UptimeRobot is a considerable option. You can monitor 50 websites and submit HTTP, HTTPS, keyword, Ping and custom ports in just a single account. Setting up the website is straightforward just put the URL, and that’s it. It observes your site from different nodes located in different continents (USA, UK, Germany, and Canada, etc.) after every minute and when detects the downtime they send warnings. Even they are offering low price plan; still, you have the 30 days to ask for a full refund if not satisfied with the service quality. The thing that makes uptime robot a great choice is the advance notification. You can select the number of alerts for just a single downtime and duration of downtime after which they inform you. This will help to ignore the little downtimes. So how you get alerts? They offer 10 free SMS and unlimited email for sending the downtime and uptime alerts to the users. Furthermore, it can be integrated with some big channels such as Twitter, Pushover, Slack, HipChat, Boxcar, and webhook, etc. It’s not over yet, UptimeRobot store the past 1-year data and you can easily download monitoring logs in Excel by just a single click. Like many other companies, you can find your answer through the FAQ’s or just email them. Currently, they are also offering a free plan that includes 50 monitors and 5-minute monitoring frequency. Surely their plans worth a lot and delivers the value. Updown.io offers services but in a different style. Instead of purchasing a plan you just need to buy the credits. At first sign up you will get 100,000 credit for free. The good thing is they also let you know how long these credits lasts with the current number of monitors and check frequency. And they are of course offer unbeatable prices. Use credit card, Paypal or Bitcoins to purchase the credits. The sleek dashboard provides a very friendly experience. Just put the Url and select the monitoring interval. You can also see the response time trends on the dashboard. If you did not tolerate the downtime of even of few seconds then Updown.io is for you. They allow the user to select the monitoring frequency as low as 30 seconds. When we choose the 1min interval, they show that we can monitor the site for more than 2 months. Awesome yay! Your site being monitored from the 8 different cities located on different continents. Moreover, you can activate and deactivate any location by just a click. The next notable feature is the statistics presentations. When you go into details first of all uptime statistics are given and then the response time of each location with fine graphics. In the end, you can see the last 6 month data along with the events. For alerts, they offer slack integration, email, and SMS. Other services include content matching and SSL testing. If you want to monitor some specific text string, then content matching is a great way which alerts you when it does not found that string (text). So why to wait just sign up now for free and if you sign up through us, you will get 100K additional credits. Featuring various benefits here comes Uptime.com. With this one tool, you can analyze the DNS, Webserver, mail servers and malware instantaneously. It can also perform the PING monitoring. They are Offering 30 locations across the globe for testing. The company claims to have some giant happy customers including AMD, IBM, and CISCO, etc. So what makes them superior than Pingdom? Uptime.com offers 4 different plans ranging from $10 to $400. The basic plan is well crafted for the individual websites. Irrespective of the plan, all can perform analysis with 1-min frequency. The basic plan best suited to the sites that mainly rely on the US audience (US targeted audience). The reason is that this only performs the checks from the US locations instead of different places around the continents. Also, this plan includes 50 checks (monitors) while Pingdom basic (starter) plan only includes 10 checks. The past data can be crucial in making the technical and other decisions. So, Uptime keeps your last 4 months data. Moreover, they do content matching which looks for a particular string in your site, and if that string is not present, then you will receive the alert. You can also add custom ports, SSL monitoring and generate the RUM reports to keep an eye on the average load time. They support multiple channels to alert the users about unpleasant events like downtime etc. You will receive alerts via SMS, emails, Twitter, Webhook and push notification (on HipChat and Pushover, etc.). In case of any trouble, you can get the help via email or open the ticket. A phone number is also given, and for self-help, they maintained a big knowledge base. 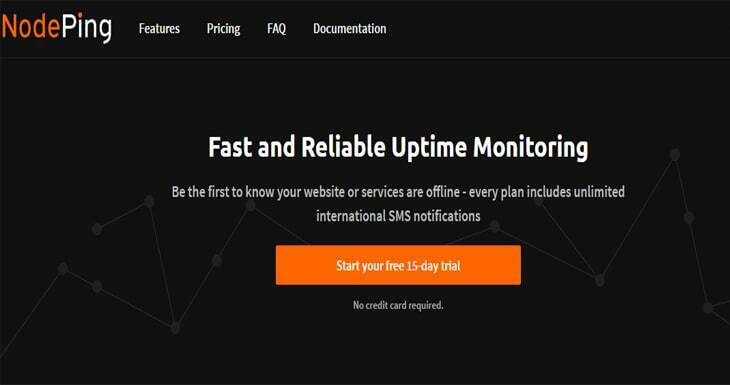 The Uptime.com does not offer any trial or free account, but Pingdom offers 14 days trial. With this tool, you can check the domain health for free. The dashboard is simple and friendly, and we don’t think that a newbie might face any difficulty. Supporting the wide range of check types such as websites, Apps, Ping, databases, Postgres, and Sockets etc. makes HappApps suitable for all types of tests. They are offering more value as compared to the Pingdom. The primary plan by HappyApps comes under $10 while Pingdom charges $11.95. 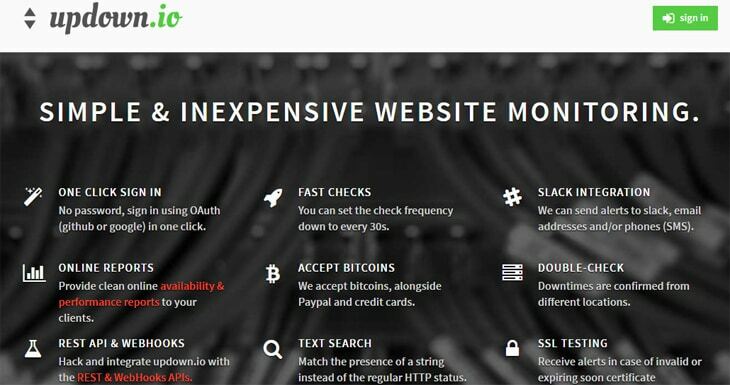 Furthermore, at Pingdom they allow you to add 10 checks (monitors or websites, etc.) while HappyApps supports upto 25 checks. So an excellent choice if you have multiple websites. The short monitoring frequency enables you to keep an eye on the uptime. So at HappyApps they offer 1-minute frequency. Along with this, response time statistics are also given. You can mute the check at any point in time. This is very helpful when you are doing some maintenance and don’t want to receive the alerts. Just click on the check you added then click on the flag given at the upper right side, and there you go it’s now in mute mode. You can browse the past 30 day’s history to analyze the averages. Email is the solely way to contact them online or browse through the help center. But we think there is no need for help because a new person can easily understand that how to use it. 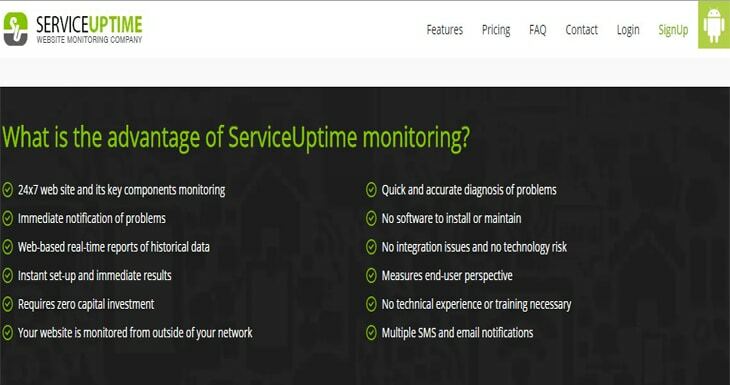 Every month 20 SMS alerts are given to you for receiving the warnings about uptime and downtime. But they do include unlimited email alerts. Moreover, they also offer 30 days refund policy. Still, if you hesitate, then give a try to HappyApps by signing up a free account where you can submit upto 3 websites for monitoring. Furthermore, it includes 5 min minimum frequency, unlimited email alerts and holds 7 days history. We know 5 min interval is a long span when you specifically want to monitor the uptime. But at a free account, as you can add all type of checks so it might be useful to get friendly to their dashboard. One of the main reason to position Host-tracker in Pingdom alternatives list is its tempting pricing. Their basic plan is a considerable option for smaller websites. The nodes are located at more than 140 locations, and now they have more than 43k customers. Moreover, the company got the trust of some giants such as Microsoft, Panasonic, and Kaspersky, etc. At personal plan, you can monitor upto 5 URL’s. Their distinguish feature is the places from where your site being monitor. You can freely select the locations by keeping in mind your target audience. There are a lot of services such as HTTP, ping, ports, certificate expirations, databases, CPU, HDD monitoring and much more. But the services available to you depends on the plan you select. In the personal plan, they perform the check after 10 minutes. We know that seems high duration, but for smaller websites, it is still a viable option. You can add 5 contacts. There is no restriction on the number of alert send via emails, but SMS warnings are limited to 50. Host-tracker uses a variety of means such as Skype, Viber, and Hangout, etc. to inform the users when the site goes down and up. Along theses, they also keep tracking the response time. Currently, Host Tracker adopting 30 days money back guarantee. But you can also subscribe for a 30 days trial or a free account it’s all upto you. If you have a bigger site, then we suggest you should choose "Business plan" which includes plenty of useful services including DNS blacklist check and support upto 25 monitors and 300 SMS alerts. High monitoring interval in the Personal plan, Miss many features such as content matching and API etc. in Personal Plan. Don’t want to get into the complexity of services then here is PortMonitor with low pricing plans. At dashboard, you can add the Website, DNS, Server and custom ports. The dashboard keeps on auto refreshing so to present the latest details. It presents the uptime and response time status of last 24hr, 7days and 30 days. PortMonitor offer 6 pre-made plans with different specification also if you need a custom plan then you can do so via contacting forum. The first two plans cost low if we compared them with Pingdom basic plan. The first package includes 10 monitors while the second plan 20 monitors. The automatic run is performed after every 1-minute to measure whether your site is experiencing downtime or uptime and what is the response time. You can receive the alerts via two ways email and Pushover. Head to the setting tab in the panel and then select email notifications for email alerts. And for receiving the warnings on a smartphone, you just need to configure the Pushover tab. Moreover, you can view the reports and event at any time, and also they send weekly and monthly email reports. 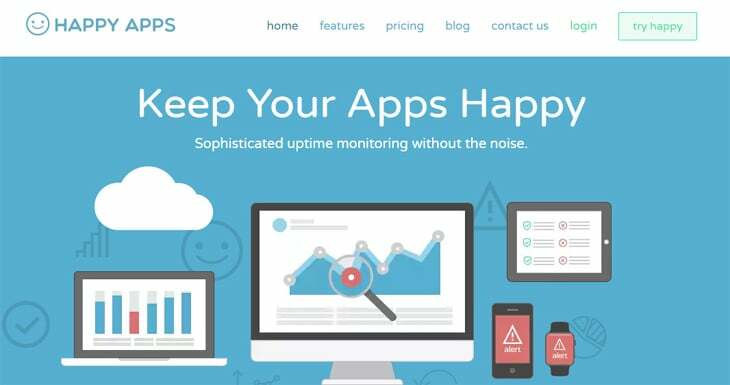 For developers, they offer REST API which allows easy Port monitor integration with a website and app, etc. Still, if you are not convinced, then you may try their free account which is the best way to measure the service quality. It covers maximum 2 monitors, 60 sec min monitoring frequency, email and Push alerts, etc. You may find them costly, and yes they are. The reason of enlisting them is that you will get a lot of solutions at one place. How is a webmaster having a bigger website and less time to focus on the monitoring services by shifting between various dashboards? Here RapidSpike comes into play. It offers interval of 1 to 60 min, the selection is yours. The professional plan can be shared among 5 users and allow you to add unlimited monitors. This is great when you’re working in a group. It monitors websites, servers, Ports, SSL, SEO stats and much more. After adding the monitor, you can even track the specific pages of your website. Every month 25 SMS/ Voice call credits are given. Moreover, you can configure the Slack and, Webhooks and Pager duty for receiving alerts. Rapidspike monitors the Google Safe Browsing list and sends alerts for malware and harmful contents. At just single dashboard you can also monitor your site SEO with Alexa Rank, Google Analytics, Moz rank and backlink statistics. It’s not over; there are more, you can track the performance via real user monitoring. They offer TV mode which presents the live stats so you can capture the problems rapidly. This is a useful feature if you have a separate screen. 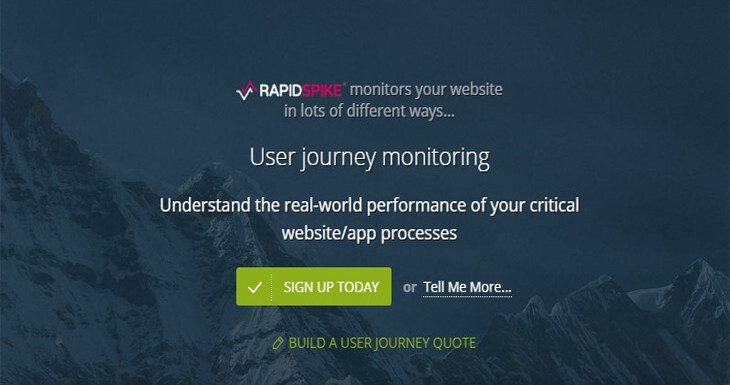 Rapidspike does the Global monitoring, generate graphical reports and allow users to configure the alert sensitivity. Moreover, you can share statistics with others by creating a public status page. It is very useful tool if you can afford. Sign up now and get 30 days trial. Offers unlimited monitors, SEO monitoring, Malware detection, SSL & WHOIS Monitoring, Integration with numerous tools, features 1 min interval monitoring. 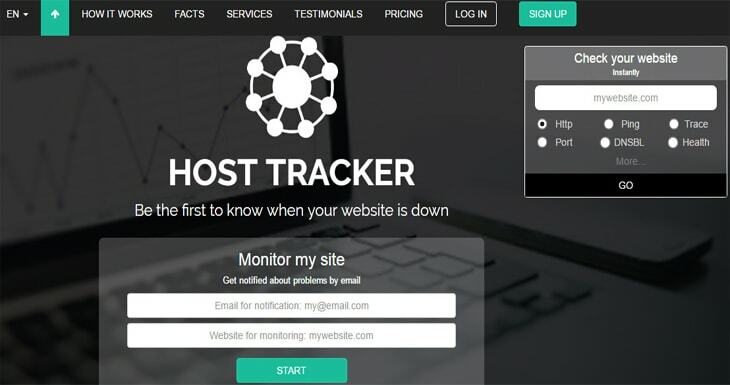 So above we mentioned some of the great Pingdom alternatives to keep tracking your websites. Most of the companies in the list offer plans at lower prices than the Pingdom including all the essential features. It's all your choice. UptimeRobot is a good choice because it supports the various check types, 50 monitors, and 1-minute test interval. But it’s only limited to monitor the uptime. On the other hand, Statuscake and Rapidspike deliver useful features but high in pricing. The best way to select the service is to keep in mind the number of factors such as check interval, the number of monitors, types of alerts, data retention and nodes locations. Of course, pricing is also imperative. We are seeing forward for your thoughts and let us know about your experience. Is there any best Pingdom alternative you think should be listed here? Please suggest in the comments section below. You can actually use all the features during the trial period, even the API. The Platform is actually available in 5 languages. Why should you try? The company has been there since 2003 and the monitoring is very reliable in terms of uptime :). We will consider this while updating this article in future. Thanks for sharing it. I think https://www.pingrely.com is a good add to the list, We are using It since two years now without any problem, The mobile app is really cool too.